According to the supposed Game of Thrones season 8 leak, there will be another Dragonpit meeting in which Tyrion will face trial. 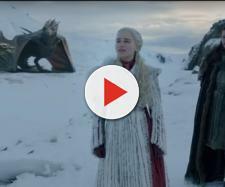 A Spanish YouTube user who goes by the name of Frikidoctor has recently published a video in which he claims to have some "inside information" about a major scene that will take place in the Dragonpit during "Game of Thrones" season 8 finale. This YouTuber is quite well known for his astoundingly accurate predictions. Last year, not only was he able to predict all the main plot points of season seven, but he actually knew most of the dialogue that was going to be said. And the year before that, Frikidoctor (also known as "Spanish Spoiler") was leaking spoilers for "Game of Thrones" season six several days prior to each episode. The information he was giving away were so accurate that HBO even had to file a copyright claim which caused his videos describing the first three episodes to be taken down from YouTube. 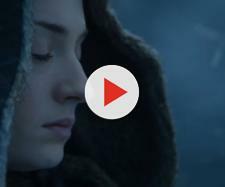 This time, however, the supposed leak involves what can easily be considered as the biggest plot twist of the final season. So proceed with caution because spoilers for "Game of Thrones" Season 8 may follow. According to the supposed leak, there will be a major scene in the Dragonpit during season 8 finale that will involve five major characters: Jon Snow, Daenerys, Sansa, Arya, and Tyrion Lannister. This, of course, comes as no surprise as we already know that the cast was filming in this area based on previous reports and photos that have come out. What is surprising, however, is the Frikidoctor's claim that there will be a trial held at the Dragonpit where Tyrion Lannister will face charges of being a traitor. Supposedly, he will be found guilty of betraying Jon and Daenerys, and in true Littlefinger fashion, he will be executed on the spot. Watch Frikidoctor's video down below. After all, Tyrion is supposed to be the good guy, and this betrayal seems so out of character. But you got to admit that there are some clues that suggest otherwise. First of all, there was a scene after the first Dragonpit meeting in season 7 finale when Tyrion visited Cersei and we never got to see how that conversation ended. Not to mention that look on Tyrion's face when Jon Snow went into Daenerys' cabin. In fact, Peter Dinklage's recent interview with Entertainment Weekly might give us some new insight regarding that suspicious look. "A lot of the time with Tyrion, it's professional and personal," Dinklage told Entertainment Weekly, "Obviously, he has feelings for Daenerys," he continued. "There's jealousy wrapped up in there." Then, the actor went on to explain that in that scene Tyrion was, in fact, wondering how smart of a move Jon and Dany's relationship is because passion and politics don't mix well. Obviously, Peter Dinklage didn't want to spoil what can potentially be the major plot point of "Game of Thrones" season 8. He did, however, mention jealousy, which might as well be the reason for Tyrion's betrayal in the final season.